anyways, im always down for some critics, so let me have it. I've really had nothing but problems with this car since i've owned it (p.o. wrecked it and its on a rebuilt salvage title) so now im catching up on all the crappy ebay parts they replaced it with. Seems like its always something. I am putting in my FMIC this weekend (seeing as how when i was driving down the road today on my way to work, my stock SMIC decided to take a dumper on me, although it is pretty cool when you can literally hear every noise the turbo makes). Im sure i'll have more to add to this as time goes on, but just wanted to post up a little update. Overall, I think it looks pretty good. 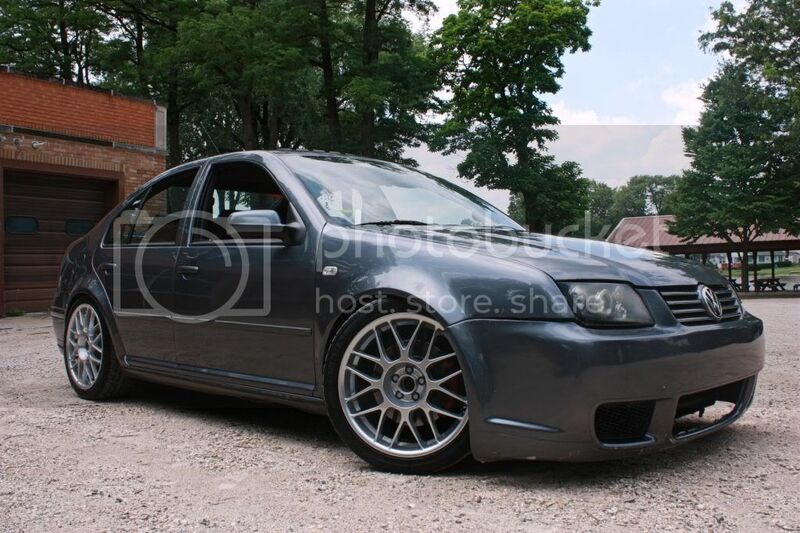 Nice stance IMO (though MKIV Vortexers will probably disagree since they always want lower), I really like the custom dual exhaust and the smoked headlights blackout taillights look good (I generally don't like them but it looks good on the Platinum Grey). -Put the side skirts back on, the sides look too high especially with the R32/Votex style bumper and rear valence. 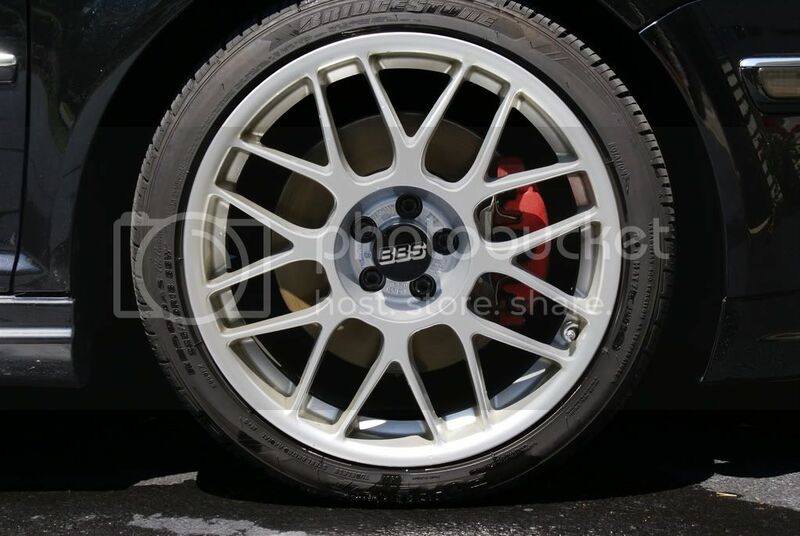 -Get some center caps for the BBS RCs. Not necessarily OEM, maybe just some BBS caps like these or put BBS caps in the original dish cover. The sideskirts were missing when i bought the car, so im trying to talk my wife into letting me "invest" in some. Yeah, i wasn't too sure how the tinted tails would work out with the paint color, but im pretty happy with how they turned out. Im really on a very tight budget with the car, so i didn't want to go out and buy new tails, just spruce them up a bit. 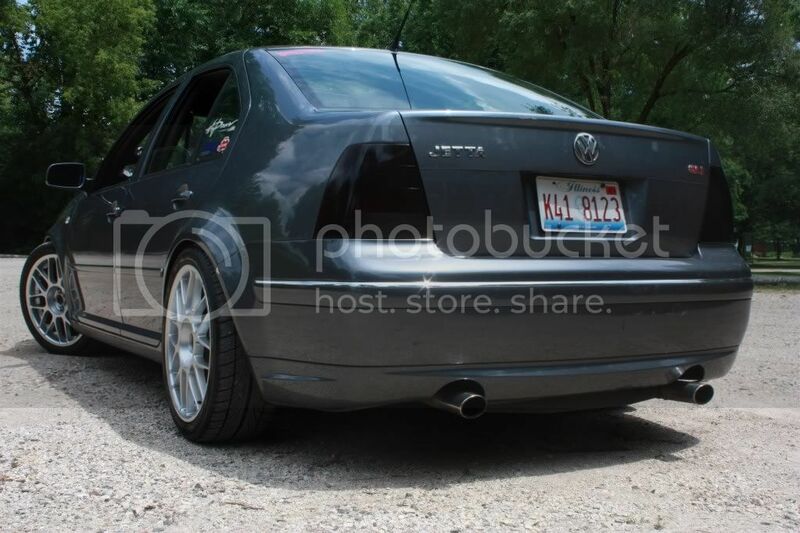 The dual exhaust setup was fun to do, but i want to re-do it and make it a bit cleaner. Honestly, i was pretty ashamed of myself for the way it turned out. I am a welder and fabricator by trade and did such a pisspoor job on it mainly because i was in such a hurry to get it done. I like the BBS centercap idea, just not the price tag. I think im going to be painting the RC's like a gunmetal or black pretty soon, so i'll have to try and incorporate something for the centers. maybe i can fab up something to fit in my original dish's. The front bumper has been the killer with me the whole time. I've been dreading doing the fiberglass work on it, but since im going to have this weekend to work on the FMIC setup, i'll more than likely be doing the bumper fitmet as well. Ever since that damn snowbank slid out in front of me its been pretty bad. Got my FMIC installed this weekend. Turned out okay... had some problems with the fitment, but i made it work. My dumbass forgot to tighten down some clamps before i finished and when i started driving it popped some of the couplers out. And then my 3 year old boy took my DV valve and decided to lose it... found it a few hours later in the bushes. I was going to try and work on the fitment of the bumper a little bit, but after the heat this weekend, i didn't really feel to up to it. 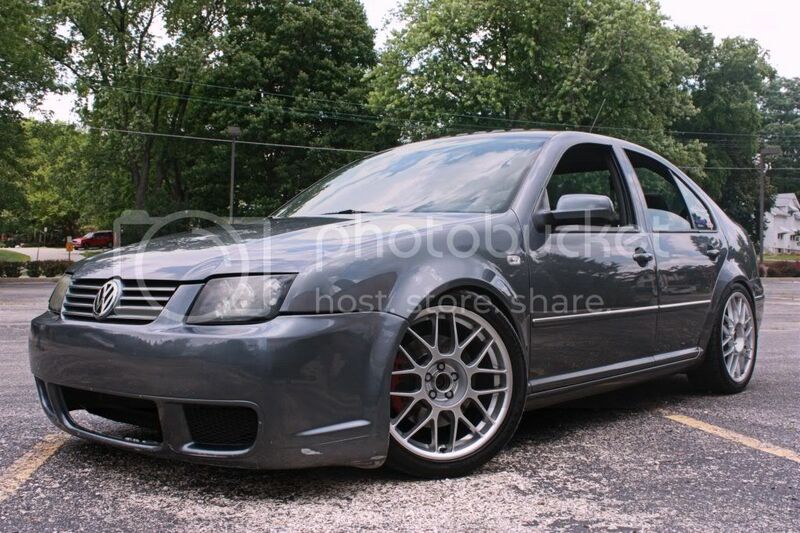 I am a fan of these GLI's. Good luck with the project!